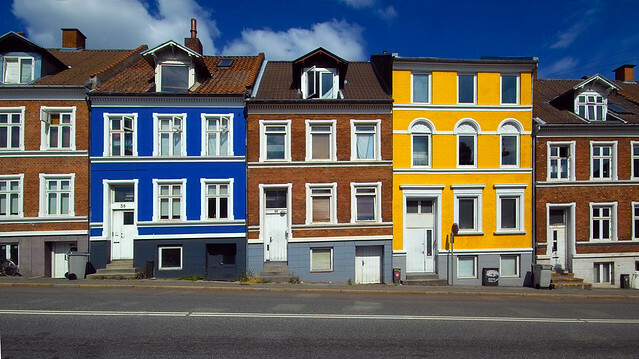 Colourful street | Flickr - Photo Sharing! Very nice. The bright colours colours are nicely balanced by the browns inbetween and on either side.